Despite the growing popularity of herbs, it is astounding how few healthcare practitioners and consumers understand the mechanisms, indications, and risks of plant-based medicines. While some plant-based medicines can provide safe, reliable, and effective approaches, seemingly harmless substances can kill. For example, pennyroyal, a mint relative sold as a natural flea treatment for dogs and cats, poses great danger to small animals and babies, especially in its essential oil form. Yunnan Baiyao, for example, has become standard fare for many to advise for clients whose dogs have hemangiosarcoma, although few clinicians likely know its contents or putative mechanisms. These same individuals may not realize that safety and effectiveness in veterinary patients have not been established, or that Yunnan Baiyao in excess amounts has caused harm, even death. Seeking a so-called “certified” herbalist provides uncertain solace; most organizations that self-appointed themselves as certifying bodies embrace pseudoscience of one form or another, such as Traditional Chinese Veterinary Medicine, or TCVM. Instead of requiring, as a premise of “certification” that applicants prescribe products based on valid diagnostic approaches and rational prescribing techniques, TCVM practitioners commonly employ folkloric assessment techniques and match their subjective impressions to metaphorical descriptions of folk remedy activity. Most untested Chinese mixtures have undergone little to no research in humans or non-humans, with their contents, mechanisms, risks, and possible benefits largely a mystery. The proprietary mixtures advocated by some TCVM practitioners may contain neurotoxic strychnine and cardiotoxic aconite along with portions of reptiles, mammals, insects, worms, and/or endangered species. Risks include hidden pharmaceuticals, undisclosed compounds, and other safety issues such as unexpected toxicity, poor quality ingredients, misidentified herbs, incorrect processing methods, and contamination. These compounds could be considered adulterated, misbranded, and unapproved new animal drugs in violation of existing law. This type of herbal practice countermands AVMA policy AVMA Policy that states, “All aspects of veterinary medicine should be held to the same standards, including complementary, alternative and integrative veterinary medicine, non-traditional or other novel approaches.”   AVMA policy also advises that diagnosis and treatment should be based on sound, accepted principles of veterinary medicine. Prescribing products with secret ingredients also contradicts AVMA principles of veterinary ethics. Indeed, the time has come for the veterinary profession to raise the standards of practice for herbal medicine. Evidence-based instruction on medical herbology, such as now taught at Colorado State University,  teaches about the scientifically defined mechanisms of action along with potential dangers. Herbs that benefit digestion , improve or injure liver function , cardiotoxic and nephrotoxic herbs, plants that treat urinary tract abnormalities, etc. Pope KV. Evidence-based Chinese herbal medicine. Clinician’s Brief. May 2013; 29-31. Fukunaga K and Orito K. Time-course effects of ST. John’s wort on the pharmacokinetics of cyclosporine in dogs: interactions between herbal extracts and drugs. J Vet Pharmacol Ther. 2012;35(5):446-451. Tessier DJ and Bash DS. A surgeon’s guide to herbal supplements. Journal of Surgical Research. 2003;114:30-36. Bent S. Herbal medicine in the United States: review of efficacy, safety, and regulation. J Gen Intern Med. 2008;23(6):854-859. Sudekum M et al. 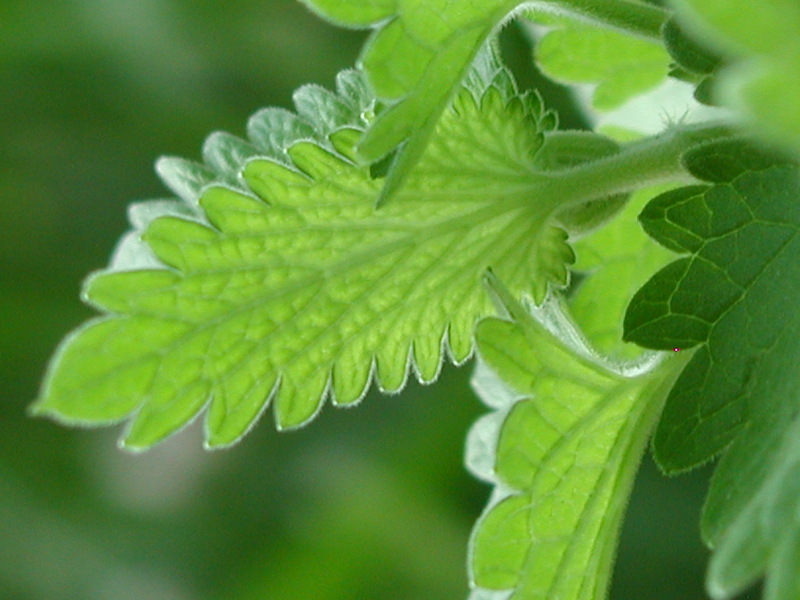 Pennyroyal oil toxicosis in a dog. J Am Vet Med Assoc. 1992;200(6):817-818. Tang ZL et al. Effects of the preoperative administration of Yunnan Baiyao capsules on intraoperative blood loss in bimaxillary orthognathic surgery: a prospective, randomized, double-blind, placebo-controlled study. Int J Oral Maxillofac Surg. 2009;38(3):261-266. Cicero AFG et al. Panax notoginseng (Burk.) effects on fibrinogen and lipid plasma level in rats fed on a high-fat diet. Phytotherapy Reearch. 2003;17:174-178. Salgado B et al. Successful treatment of canine open cervix-pyometra with Yunnan Paiyao, a Chinese herbal preparation. Veterinary Research Communications. 2007;31:405-412. China Daily. Consumer advocate sues Yunnan Baiyao. Accessed at http://www.chinadaily.com.cn/china/2013-03/22/content_16338673.htm. Pearson W. Concurrent use of veterinary drugs and herbal medicines in racing Standardbreds. Can Vet J. 2009;50:1283-1285. Williams CA and Lamprecht ED. Some commonly fed herbs and other functional foods in equine nutrition: a review. Vet J. 2008;178(1):21-31. Robinson NG. Chinese herbs: selling strychnine. Accessed on 09-25-13 at http://www.veterinarypracticenews.com/vet-practice-news-columns/complementary-medicine/chinese-herbs-selling-strychnine.aspx . ChinaScope Financial. UK to ban Traditional Chinese Medicine sales in 2014. Accessed at http://www.chinascopefinancial.com/en/news/post/28318.html on 09-25-13. Kupferschmidt K. Dangers of Chinese medicine brought to light by DNA studies. Science. Accessed at http://news.sciencemag.org/asia/2012/04/dangers-chinese-medicine-brought-light-dna-studies on 09-25-13. VIN Alternative Medicine Message Board. Accessed at http://www.vin.com/members/boards/DiscussionViewer.aspx?DocumentId=5604587&SAId=1 on 09-28-13. Sivula NJ. TCVM for the treatment of cervical intervertebral disc disease in a dog. TCVM Newsletter: Voice of Dr. Xie’s Jing Tang Herbal. 2010; Issue 13. P. 7. Accessed at http://www.tcvm.com/doc/TCVMNews2010DecR.pdf on 09-28-13. Xie H. TCVM treatment of intervertebral disk disease. TCVM News. 2011;14. Accessed at http://www.tcvm.com/doc/TCVMNews2011MayR.pdf on 09-28-13. Euroherbs. Double P II 200-0, 5 g caps. Accessed at http://www.euroherbsshop.nl/double-p-ii-20005g-caps-p-2893.html?language=EN&osCsid=c7d1a67a118d5586b06d73eeb0875cd6 on 09-28-13. Note that due to concerned about the inclusion of endangered ingredients in this product, the contents had to be “adjusted” in order to conform to CITES (Convention on International Trade in Endangered Species of Wild Fauna and Flora) rules. Debbie S, Graeme L, Pierre D, et al. Pharmacovigilance of herbal medicine. Journal of Ethnopharmacology. 2012140:513-518.
 Cooper K, Noller B, Connell D, et al. Public health risks from heavy metals and metalloids present in Traditional Chinese Medicines. Journal of Toxicology and Environmental Health, Part A. 2007;70:1694-1699. Fu PP, Chiang H-M, Xia Q, et al. Quality assurance and safety of herbal dietary supplements. Journal of Environmental Science and Health Part C. 2009;27:91-119. Ko RJ. Adulterants in Asian patent medicines. New England Journal of Medicine. 1998;339(12):847. Cited in Amster E, Tiwary A, and Schenker MB. Case report: potential arsenic toxicosis secondary to herbal kelp supplement. Environmental Health Perspectives. 2007;115(4):606-608. Food and Drug Administration, Animal & Veterinary. Product Regulation. Accessed at http://www.fda.gov/AnimalVeterinary/Products/AnimalFoodFeeds/ucm050223.htm on 09-29-13. Grassie LA. Update on animal dietary supplements. Updated 04-11-13. Accessed at w.fda.gov/AnimalVeterinary/NewsEvents/FDAVeterinarianNewsletter/ucm110415.htm on 09-29-13. Policy on Complementary, Alternative and Integrative Veterinary Medicine. Approved by the AVMA House of Delegates on 07/29/13. Accessed at https://www.avma.org/About/Governance/Documents/2013S_Resolution10F.pdf on 09-28-13. McKenzie B. Traditional Chinese Veterinary Medicine. May 22, 2011. Accessed at http://skeptvet.com/Blog/2011/05/traditional-chinese-veterinary-medicine/ on 09-28-13. AVMA website. Principles of veterinary medical ethics of the AVMA. VI (C). “It is unethical for veterinarians to promote, sell, prescribe, dispense, or use secret remedies or any other product for which they do not know the ingredients.” Accessed at https://www.avma.org/KB/Policies/Pages/Principles-of-Veterinary-Medical-Ethics-of-the-AVMA.aspx on 09-26-13. Robinson NG. Freedom from folklore. Veterinary Practice News. Accessed at http://www.veterinarypracticenews.com/vet-practice-news-columns/complementary-medicine/freedom-from-folklore.aspx on 10-13-13. VM 780A3. Evidence-based medical herbology. An elective, semester-long, 1 credit course for third-year PVM students. Course director: Narda G. Robinson, DO, DVM, MS.
 Robinson N. How safe is kelp for thyroid patients? Veterinary Practice News. March 21, 2011. Accessed at http://www.veterinarypracticenews.com/vet-practice-news-columns/complementary-medicine/how-safe-is-kelp-for-thyroid-patients.aspx on 10-13-13. Dey S, Saxena A, Dan A, et al. Indian medicinal herb: a source of lead and cadmium for humans and animals. Archives of Environmental & Occupational Health. 2009;64(3):164-167. Chen T-H, Chang H-C, and Lue K-Y. Unregulated trade in turtle shells for Chinese Traditional Medicine in East and Southeast Asia: the case of Taiwan. Chelonian Conservation and Biology. 2009;8(1):11-18. Buckley L. Conference on Traditional Chinese Medicine marks shift towards global market, raises concerns about social and ecological impact. Worldwatch Institute website. Obtained at http://www.worldwatch.org/node/47 on December 14, 2008. Robinson N. Herbs might muddy chemo outcomes. Veterinary Practice News. Accessed at http://www.veterinarypracticenews.com/vet-practice-news-columns/complementary-medicine/herbs-might-muddy-chemo-outcomes.aspx on 10-13-13. Meijerman I, Beijnen JH, and Schellens JHM. Herb-drug interactions in oncology: focus on mechanisms of induction. Oncologist. 2006;11:724-752. Greenlee H, et al. Clinical applications of Silybum marianum in oncology. Integrative Cancer Therapies. 2007;6(2):158-166. Holliday JC et al. Preclinical evaluation of concurrent medicinal mushroom-based immune-enhancement supplementation in dogs undergoing chemotherapy for various cancers. International Journal of Medicinal Mushrooms. 2009;11(2):16-184. Brown DC and Reetz J. Single agent polysaccharopeptide delays metastases and improves survival in naturally occurring hemangiosarcoma. Evid Based Complement Alternat Med. 2012; 2012:384301. Robinson N. The skinny on herbs for the skin. Veterinary Practice News. Jan 4, 2012. Accessed at http://www.veterinarypracticenews.com/vet-practice-news-columns/complementary-medicine/the-skinny-on-herbs-for-the-skin.aspx on 10-13-13. Robinson N. Superbugs: can plants save us? Veterinary Practice News. July 26, 2013. Accessed at http://www.veterinarypracticenews.com/vet-practice-news-columns/complementary-medicine/superbugs-can-plants-save-us.aspx on 10-13-13. Anthoni C et al. Mechanisms underlying the anti-inflammatory actions of boswellic acid derivatives in experimental colitis. Am J Physiol Gastrointest Liver Physiol. 2006;290(6):G1131-1137. Gupta I et al. Effects of gum resin of Boswellia serrata in patients with chronic colitis. Planta Med. 2001;67:391-395. Abdualmjid RJ and Sergi C. Hepatotoxic botanicals – an evidence-based systematic review. J Pharm Pharmaceut Sci. 2013;16(3):376-404. Robinson N. Bupleurum: Liver help or liver harm? Veterinary Practice News. June 22, 2011. Accessed at http://www.veterinarypracticenews.com/vet-practice-news-columns/complementary-medicine/bupleurum-liver-help-or-liver-harm.aspx on 10-13-13. Hielm-Bjorkman A et al. Panax ginseng in combination with brewers’ yeast (Gerivet®) as a stimulant for geriatric dogs: a controlled, randomized, blinded study. J Vet Pharmacol Therap. 2007;30:295-304. Robinson N. Natural stress busters for cats. Veterinary Practice News. October 27, 2011. Accessed at http://www.veterinarypracticenews.com/vet-practice-news-columns/complementary-medicine/natural-stress-busters-for-cats.aspx . Robinson N. Catnip confidential. Veterinary Practice News. Feb. 1, 2012. Accessed at http://www.veterinarypracticenews.com/vet-practice-news-columns/complementary-medicine/catnip-confidential.aspx on 10-13-13. Reichling J et al. Dietary support with Boswellia resin in canine inflammatory joint and spinal disease. Schweiz Arch Tierheilkd. 2004;146(2):71-79. Pigliucci M and Boudry M. The dangers of pseudoscience. The New York Times. Opinionator. October 10, 2013. Accessed at http://opinionator.blogs.nytimes.com/2013/10/10/the-dangers-of-pseudoscience/?_r=0 on 10-11-13.